I’m a sucker for the Target Dollar Spot. I mean come on, who isn’t. When I spotted these blank wicker baskets I knew their was an embellishment opportunity waiting to happen. Actually three of them, and at $3 bucks a pop how could I not. 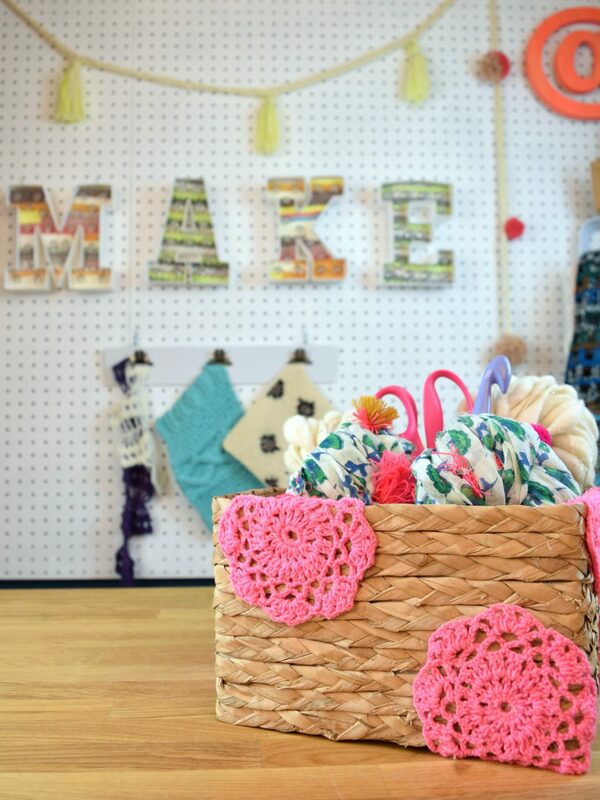 Over on DIY Network I’m sharing 10 Ways to Revamp a Basket, but right here I’m going to show you how one basket can go 3 different creative ways. When I picked up these neon pink doilies from Michaels I knew one day they would come in handy, I was right. 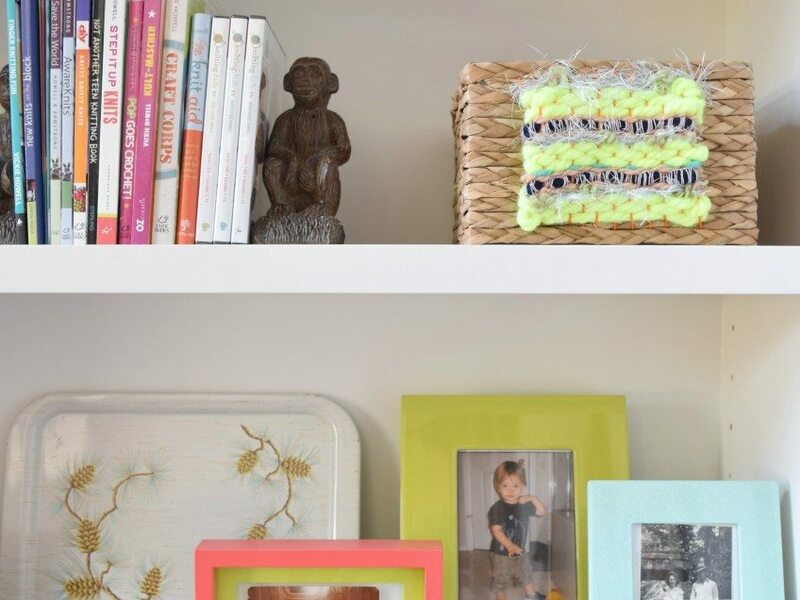 Who says craft hoarding is wrong? Not me. Anyway with the help of a little craft glue I added the doilies to the basket in a random pattern. Be sure to wrap over edges and around corners too. Can’t find neon pink doilies? No problem, you can dye your own doilies. Embroidering a basket is slightly painful I’m not going to lie, but you know what they say – no pain no gain. I love the way the gain turned out. You will need a heavy duty sharp needle for this project. 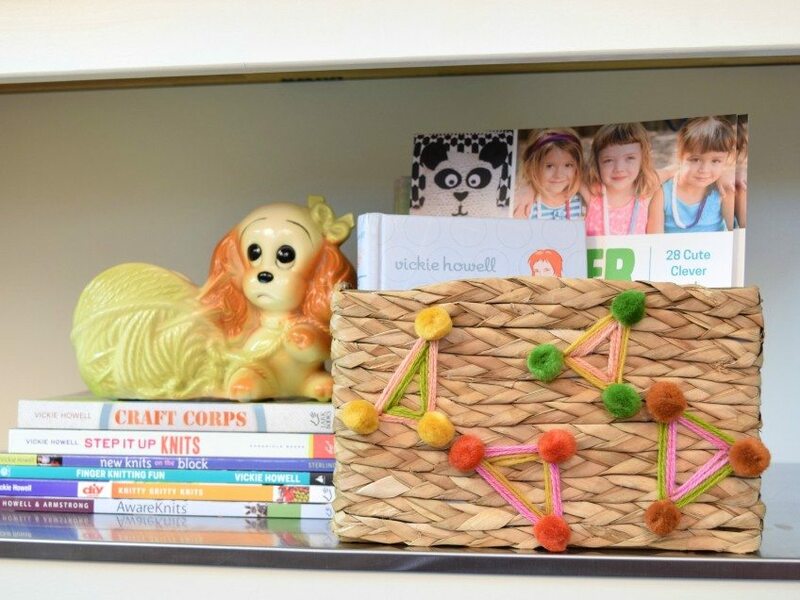 I added pompoms with a little glue on the edges of my corners. By the way, shout out to my buddy Vickie Howell for letting me use her house for all these basket photos. Buy any one of her fabulous books pictured here on Amazon. My favorite basket of the collection is by far this hot little woven number. Again getting the warp in place was hard and you will need a large sharp needle and a lot of upper body strength. Once the hard part is done the weaving the weft is a breeze. If you use puffy yarn like this Mambo Yarn by Martha Stewart and Vivid by Red Heart weaving will go by super quick. Which style is your favorite? 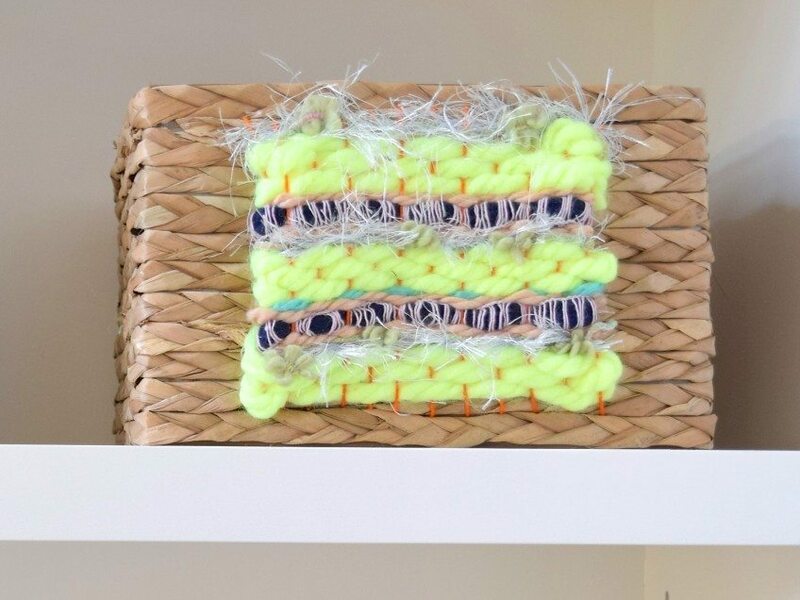 Don’t forget to check out my article on DIY Network all about 10 Ways to Revamp a basket for more fun ideas including ombre, tassels and fabric wrapped! Posted April 6, 2016 & filed under Crafts, Home Décor Crafts, Needle Crafts.